Product code: ES3418 Categories: Sold Items, Sold Rings. Antique signet rings have certainly come back into fashion in recent years and look so good on a gents finger, and here is a lovely antique signet ring dating from 1905. Made in Chester in 9ct rose gold, this signet ring is set with a piece of sardonyx in a wonderful traditional shield shape that looks so good. 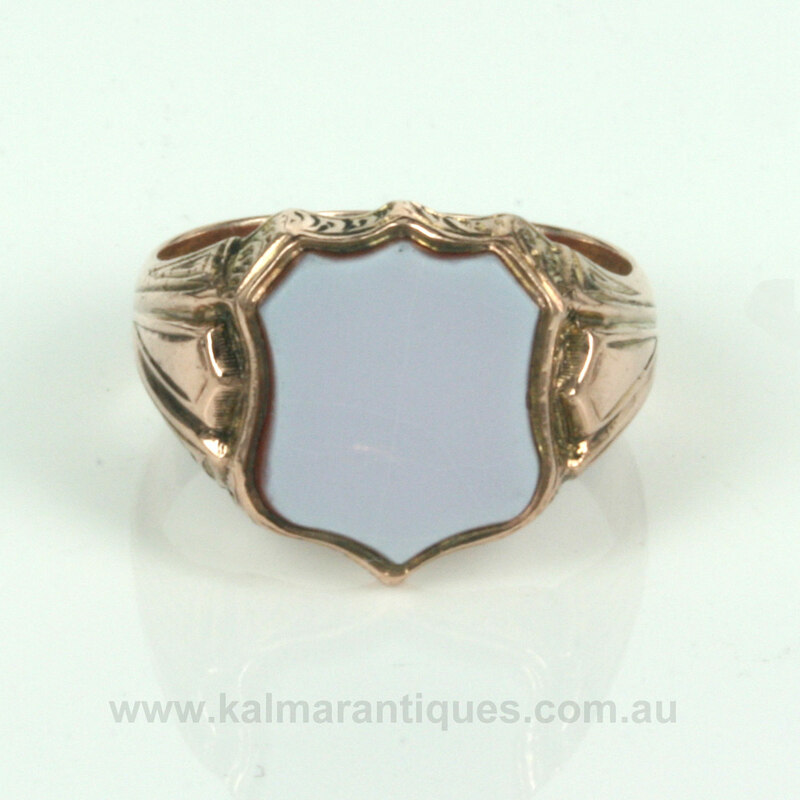 Even the side of the rings has all the charm and character of a wonderful antique signet ring with the carved sides and scroll work design at the bottom and combined with the fact that this signet ring is made in rose gold, all goes to make this even more fabulous. From left to right the shield shape measures 8.5mm across by 21mm and is nice and flat making this signet ring so comfortable to wear all the time. Antique signet rings have so much charm and character, and this antique signet ring from the Edwardian era looks so beautiful on the finger and will always feel and look so good.